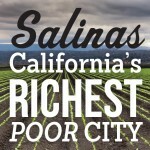 Forbes says my hometown of Salinas is the second least educated city in the U.S. According to a number of measures, it’s also one of the poorest places in California. But as a college student who grew up there, and still comes home every summer, I feel rich. I owe that feeling to being from Salinas, a small city amidst big fields with so many young people who are rich in culture and thinking. When I was 10 years old, my two parents and five siblings moved from Mexico, where I was born, to the east side of Salinas. Many people from our hometown made the same move. We settled in a trailer park called Rancho Salinas. It’s a place with an abundance of migrant workers. The move grounded me in a community of people with whom I was very familiar, but it also created challenges. Where did I fit in this new city? Where did I fit in America? When I began school, I was slow to understand the importance of education; no one ever told me why I went. My parents, to their credit, insisted that I go and were supportive in the very best ways, but I had little idea of college, or why it was necessary. Education didn’t fit well with the kids of migrant workers with whom I was raised. These kids are considered, when they are considered at all, to be “gangsters,” and they’re dismissed by educators because of it. The stereotype of Salinas as a place of shootings is partially true; there is violence here, and more than a few people I grew up with are no longer walking the Earth. But the “gangster” label carries a stigma, and, as a kid in Salinas, you can see and feel that judgment as a rationale for not investing in you. This alienates even young children. I think of a 10-year-old neighbor named Juan, who once told me that he didn’t want to go school anymore because the teacher wouldn’t help him; she made him sit in the back of the classroom and hardly spoke to him. “It’s like I don’t belong there,” he said. Like many of his peers, his parents work all day in the strawberry fields, so most of the support he gets is from his friends. And when friends drop out of school, too many young people follow them. The whole cycle is self-fulfilling. And it seems to rise from the central, exploitative fact of Salinas: The city’s richest industry, agriculture, relies on the city’s poorest people. It’s impossible to understand Salinas without thinking of migrant workers. Many people say the conditions for these workers have improved, but that’s not what I’ve seen growing up. I frequently hear stories from my uncles, strawberry pickers who have not been given a raise after working over 30 years. You hear of women being sexually abused in the fields, of men spraying pesticides during work hours (when such spraying is supposed to happen at night, when people aren’t out in the fields). And then there’s the simple reality that farm work is not easy; bending down for more than eight hours to pick berries is an exhausting task that only healthy, strong people can accomplish. I wish that, instead of pushing workers too hard in the fields, Salinas was known as a place where teachers pushed all students in the classroom. Only the lucky students get pushed, I was one of them. One teacher from Washington Middle School in eighth grade, Ms. Alexander, changed my life by enrolling me in a program called GATE for “Gifted and Talented Education.” On the first day of my GATE English class, we had to turn in essays and were assigned to read about six books—a completely different workload than mainstream classes. Students who were white and students who were born in America surrounded me, many of whose parents were doctors or teachers. Being exposed to this environment was challenging, but it also made me realize I could do challenging work—and that I had the potential to succeed. With this small push, I soon learned how to push myself. I loved learning (though I wish we were assigned richer reading assignments in high school, with more meaningful books that would give light to the cruel truths of Salinas). The beginning of my senior year, I was accepted to UC Berkeley with a full ride. I am a sophomore now and debating whether to major in business or in the sciences. It has been a huge adjustment—a small city girl from a traditional (and conservative) Mexican family moving to UC Berkeley. I am a fish out of water, or out of strawberry fields, more accurately. But Steinbeck also said that Salinas was a rich place—the land was rich, and so was the sense of community. And that also is still true. It is why I love Salinas, and why I love to say I am from Salinas. It is filled with the most hardworking and humble people. It has many teachers, though not enough, who seek to educate everyone. It is rich in young people striving to make a better life. It is rich in cultures that together make up a lively city. And it is rich in people who, for all their persistence, deserve better. 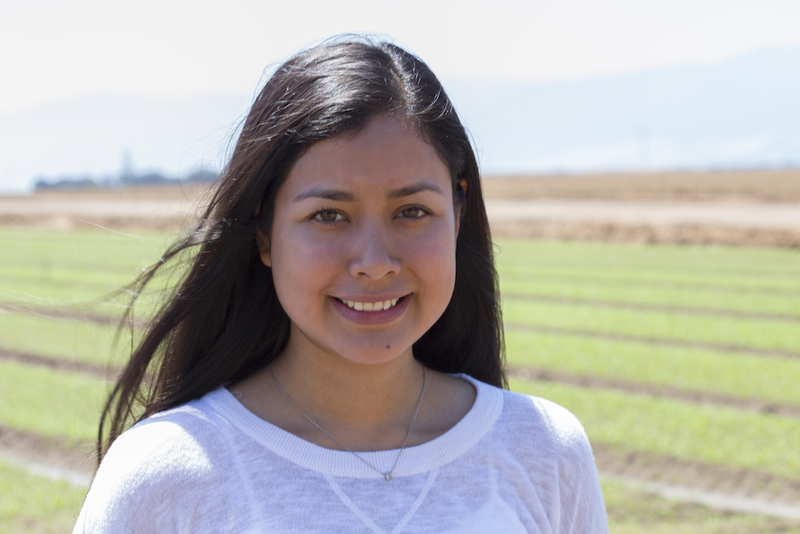 Arismel Tena, a second-year student at the UC Berkeley, was born in Michoacán, Mexico, and raised in Salinas, California.This essay is part of Salinas: California's Richest Poor City, a special project of Zócalo Public Square and The California Wellness Foundation.